Turnkey, Luxury Living and Convenience at its Finest! Located on a sidewalk and tree lined street, Whitehall is a twenty-eight unit community of luxurious townhomes in the heart of Bryn Mawr. Built just 6 years ago by acclaimed Vaughan Builders it is a Platinum Best in America Living Honors Community. Its prime Main Line location is within walking distance of Bryn Mawrs gourmet restaurants, shops, and convenient public transportation. The location, design and quality exemplifies sophisticated, turnkey living at its finest. #100 is a end unit, and offers the best location and many outstanding special features: it~s one of the largest units with 4 full floors of living space, all in impeccable condition; an elevator serving all four floors; hardwood floors and plantation shutters; custom millwork and built-ins; neutral decor; a chef's kitchen with 4-person center island, energy efficient stainless appliances; Thermador five-burner gas cooktop, GE Profile oven, microwave and warming drawer, large pantry closet, double under-mount sinks, 42-inch Kountry Kraft white cabinets and subway tile back splash; Sonos Sound System in kitchen, living room & 4th floor bedroom/study. There is a two car attached garage and abundant storage throughout. 2 covered porches provide outdoor space to enjoy the corner privacy and views. 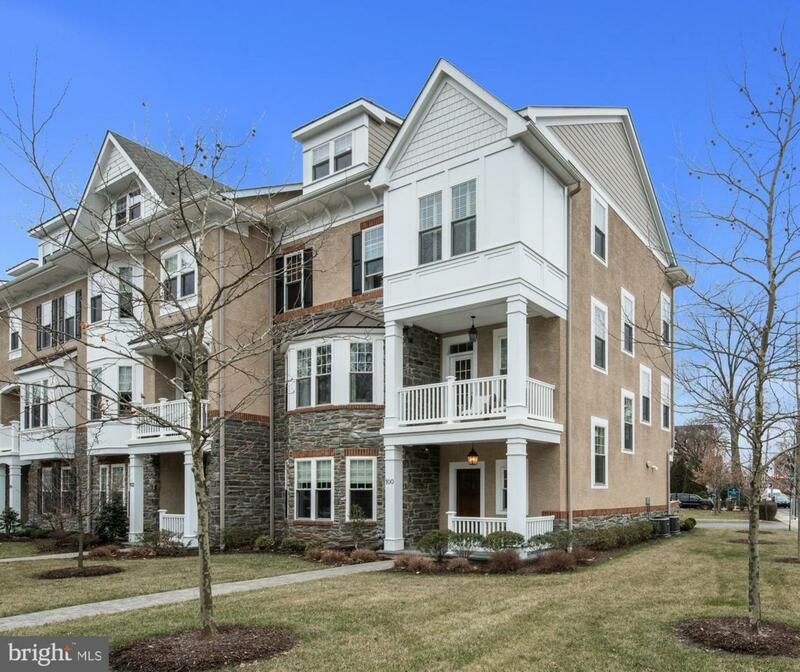 Thbeautiful property offers the best value, location and condition for Main Line townhome living, Center City Philadelphia, the Philadelphia International Airport, and connections to Routes 202, 1, 76, 476 and the Pennsylvania Turnpike are easily accessible.